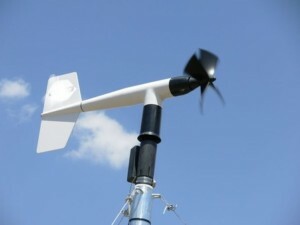 Ambient air quality monitoring stations measure real time and peak concentration levels of dangerous pollutants in air. Industrial and vehicular emissions along with other anthropogenic activities release air pollutants in the atmosphere across Indian cities. It is important to monitor them and keep them under control in order to prevent risk to human health and protect the survival of other living organisms. Centre of Pollution Control Board (CPCB) initiated a nationwide ambient air quality monitoring programme called national air quality monitoring programme (NAQMP) which comprises of 342 monitoring stations all over 127 Indian cities/towns located in 26 states and 4 union territories of the country. Below are the objectives of the N.A.M.P. To understand the natural cleansing process undergoing in the environment through various processes such as pollution dilution, dispersion, wind based movement, dry deposition, precipitation and chemical transformation of the pollutants released. is performed for 24 hours which includes 4 hours of gaseous pollutants sampling and 8 hours of PM sampling, repeated twice a week to yield 104 observations in a year. Ambient air quality monitoring stations help in examining the effectiveness of prescribed standards and assess the quality of life. Depending upon the conditions, measures can be implemented to maintain the ambient air quality standards. The number of stations installed in a city is decided based upon the records of sources of air pollution and emission and the number may vary depending on factors such as the distribution of pollutants, data needed for monitoring, pollutants examined and the area population. In 1977, the World Health Organization (WHO) provided a set of guidelines on the location of monitoring stations. The parameters influencing site selections for ambient air quality monitoring are sites which indicate possibility or traces of air pollution such as industrial areas, cities and traffic junctions. Measurements from different cities allow a comparison and help to observe a trend in the patterns of air quality at various metropolitan locations. 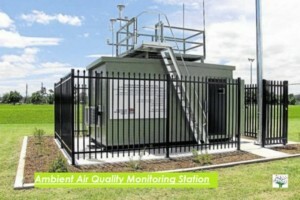 Factors such as long term site availability, easy access to the site during a year of conducting measurements, sufficient supply of water, electricity and telephone connection, and safe and protected site from adverse weather conditions determine the suitability of a site for the establishment of air quality monitoring stations. Since geographical parameters influence air quality measurements, they are measured during AAQM as well. SO2 and nitrogen dioxide (NO2) are analyzed by wet chemical method which is easy to use in India. 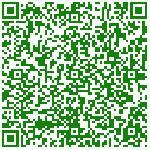 is used for measuring particulate matter and respirable particulate matter sample for RSPM in India. The measurements of ozone, lead, CO are performed by laboratory methods. Field and laboratory measurements are conducted by experts (That’s us!) who ensure maintenance of quality control, and the data collected is handled and analyzed appropriated along with application of corrections wherever necessary. The data obtained using AAQM stations is utilized by CPCB to examine the nationwide status of air pollutants. It has been observed that SO2 and NO2 levels in residential areas of all the cities abide by the prescribed National Ambient Air Quality Standards (NAAQS). However, a decreasing trend has been found in the SO2 levels in some cities including Delhi and Lucknow. The RSPM levels have been discovered to exceed the prescribed NAAQS in residential areas of many cities displaying fluctuating trends in the values recorded. There can be high levels of carbon monoxide (CO) in Delhi due to an increase in the number of vehicles per person, but despite an increase in the vehicular population, CO levels in Delhi have reduced during the past years. This can be attributed to the implementation of measures such as conversion of three wheelers of CNG in Delhi. Karnataka State Pollution Control Board has installed and commissioned two Continuous Ambient Air Quality Monitoring Stations (CAAQMS), one at City Railway Station, Bangalore and another at Nisarga Bhavan, Saneguruvanahalli in Bangalore. Both the stations operate for 24 hours throughout the year and the data recovered is sent to the CPCB. Really loved your article. It was well thought out. I am planning on starting a manufacturing unit for ferro alloy and we are told that this product creates a lot of air pollution. I would like to know if there are any ways we can control or reduce the pollution so that the neighboring areas are not affected.